Too often, a beginner slots player gets lost, figuratively and literally, the first time they enter a casino. It can take a while to learn how to play slot machines. Plus, it isn’t in the best interest of the casino to help. 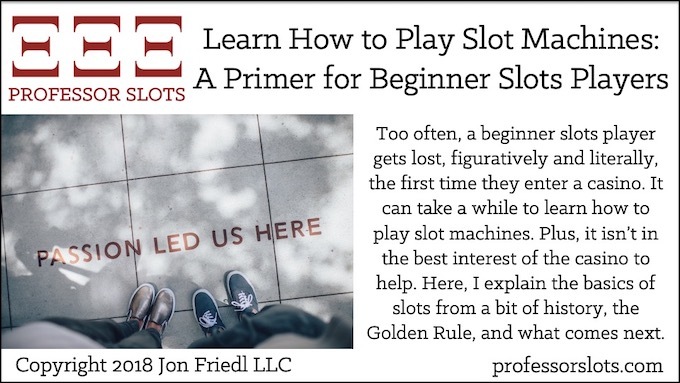 Here, I explain the basics of slots from a bit of history, the Golden Rule, and what comes next. Video poker is skill-based slots. So, to win at video poker means perfect play and the best paytables. But, next, try applying my winning slots strategies as they can also take advantage of how casino operators have set up their video poker machines. 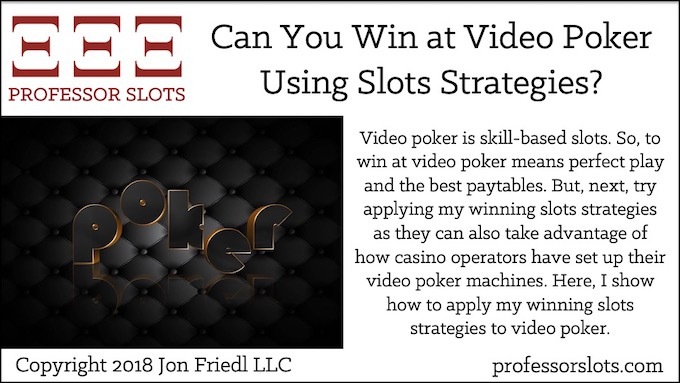 Here, I show how to apply my winning slots strategies to video poker. 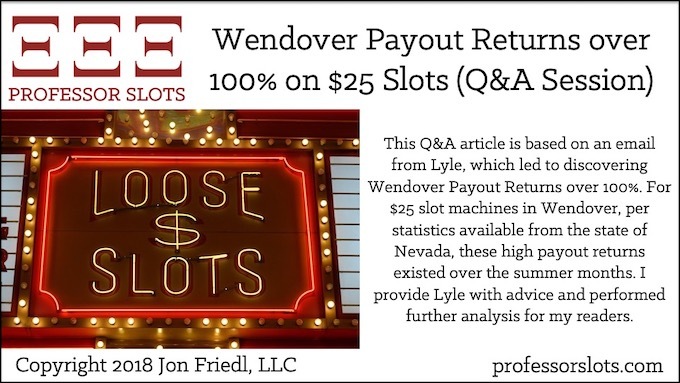 This Q&A article is based on an email from Lyle, which led to discovering Wendover High Payout Returns. For $25 slot machines in Wendover, per statistics available from the state of Nevada, payout returns over 100% existed over the summer months. I provide Lyle with advice and performed further analysis for my readers. 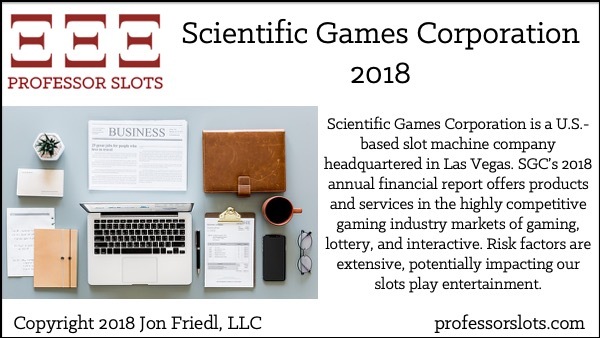 Scientific Games Corporation is a U.S.-based slot machine company headquartered in Las Vegas. SGC’s 2018 annual financial report offers products and services in the highly competitive gaming industry markets of gaming, lottery, and interactive. Risk factors are extensive, potentially impacting our slots play entertainment. 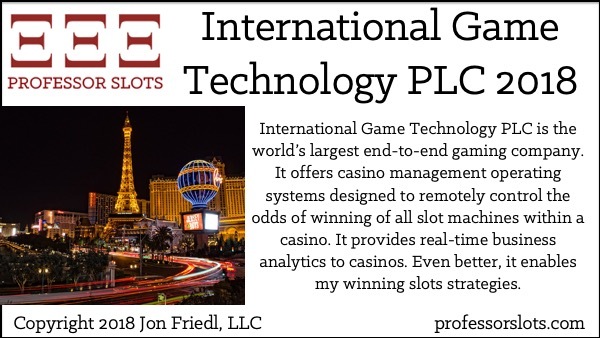 International Game Technology PLC is the world’s largest end-to-end gaming company. It offers casino management operating systems designed to remotely control the odds of winning of all slot machines within a casino. It provides real-time business analytics to casinos. Even better, it enables my winning slots strategies. 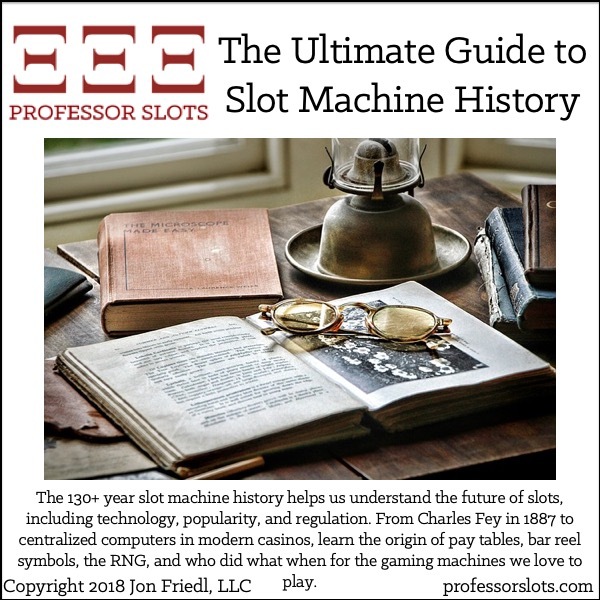 The 130+ year slot machine history helps us understand the future of slots, including technology, popularity, and regulation. From Charles Fey in 1887 to centralized computers in modern casinos, learn the origin of pay tables, bar reel symbols, the RNG, and who did what when for the gaming machines we love to play.